The Transportation Research Board’s (TRB) Transit Cooperative Research Program recently (February, 2012) released a toolkit for communicating with vulnerable populations. Below is their description and a link to the document. Communication with Vulnerable Populations: A Transportation and Emergency Management Toolkit. 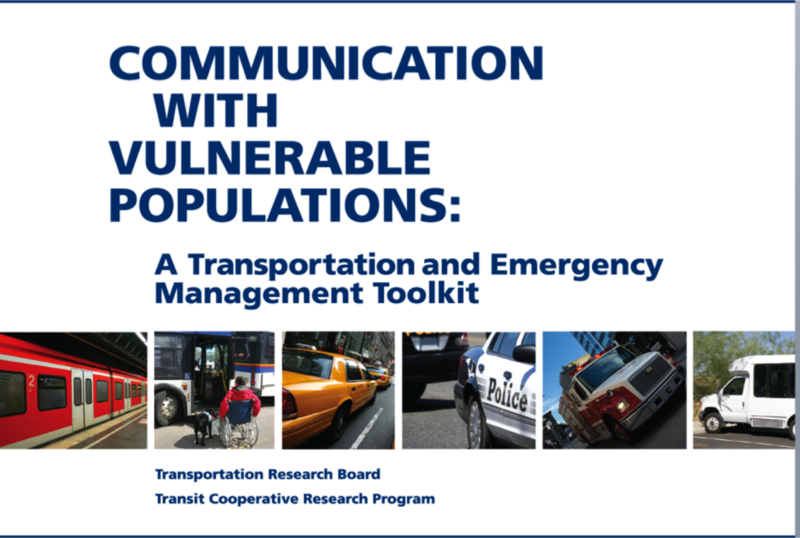 “TRB’s Transit Cooperative Research Program (TCRP) Report 150: Communication with Vulnerable Populations: A Transportation and Emergency Management Toolkit describes how to create a communication process to reach vulnerable populations regarding their transportation options in emergencies.